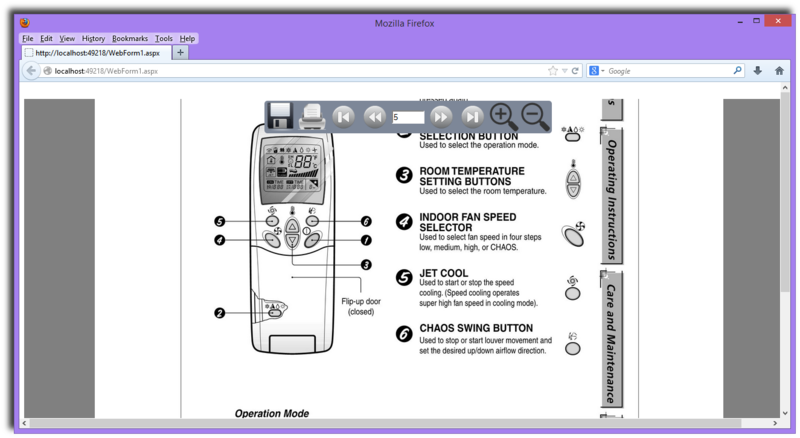 In the latest Version 6 of PDFOne .NET, we have introduced a PDF web viewer control. It can be used in your WebForms applications to display and print PDF documents. 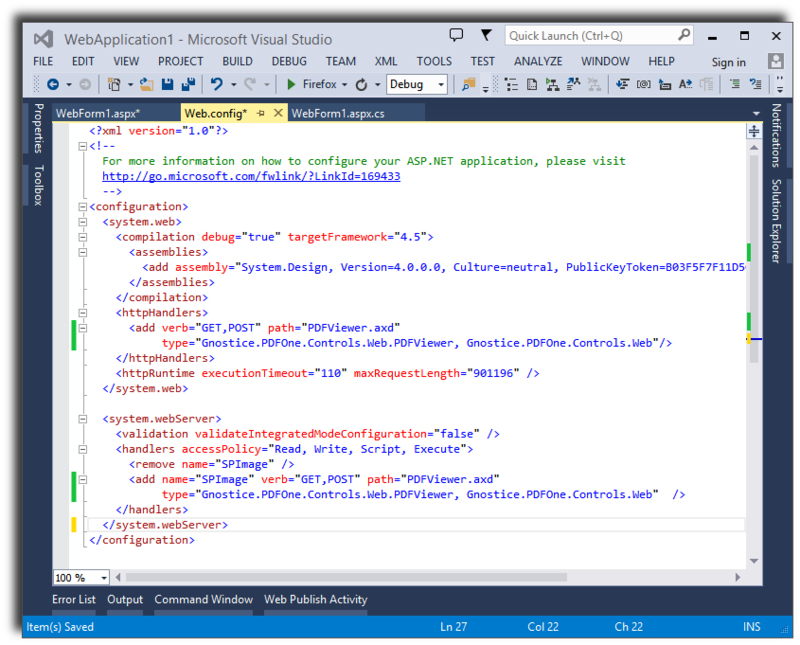 Create an empty ASP.NET Web Application project. 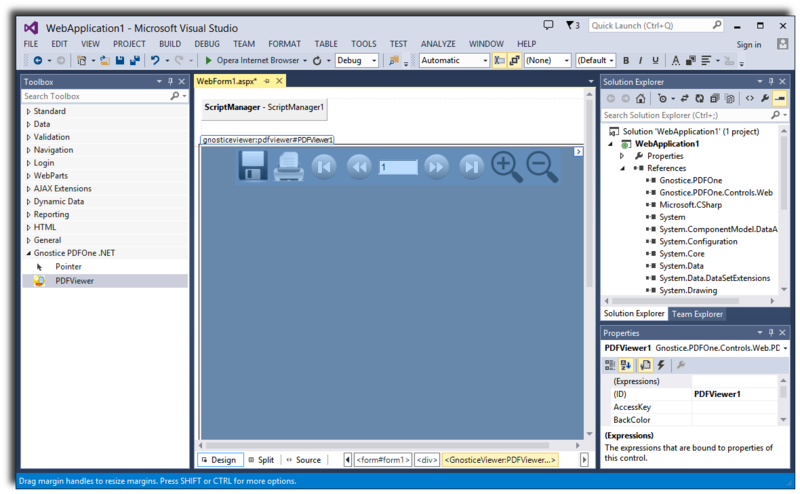 Open the Web.config file of the project and add the following line sin the system.web closing tag. Add this system.webServer below the system.web tag. 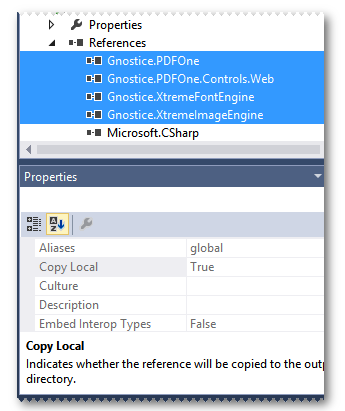 Select these DLLs and set their "Copy Local" property to true to ensure that your Web application is self-contained. 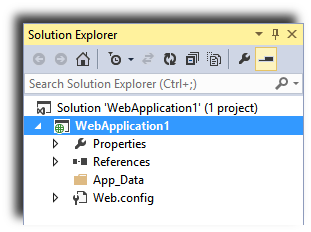 In the Solution Explorer, right-click the project and choose to add an "App_Data" folder. 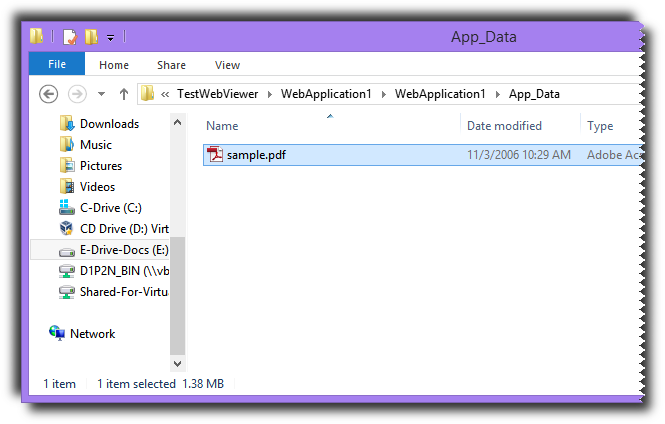 Copy a PDF file named sample_doc.pdf in the App_Data folder. Add a new Web Form to the project. Add the jQuery plugin to the HEAD section in the HTML source. Switch to the Design view. Open the Toolbox and navigate to the PDFOne tab. 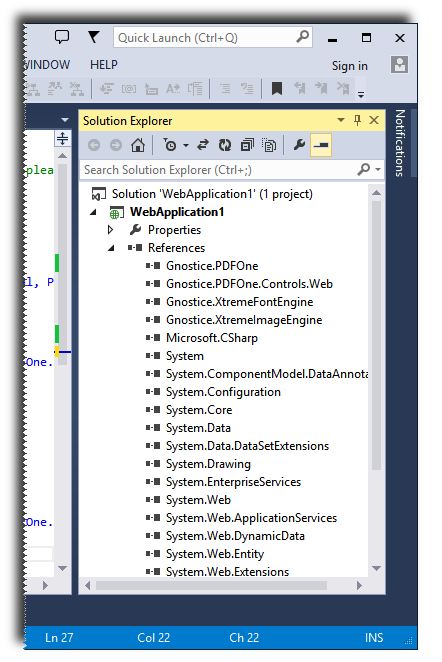 If it is not already there, create a new one with the Gnostice.PDFOne.Controls.Web.dll. 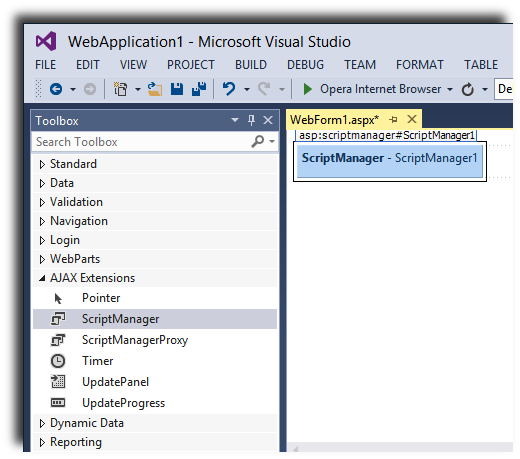 From the AJAX Extensions tab, drag and drop a ScriptManager component to the form. Drag and drop a Web.PDFViewer control on the form. Resize it to suit your requirements. Right-click on the form and select "View Code". Set the "page load" event handler as follows (but with the correct license key). Save the project and run it. The PDF document will be displayed in the web page. Of course, this is a barebones example meant only to get you started. The installation setup installs a more elaborate source code example in your "Documents" folder. 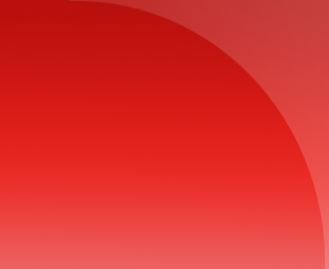 Please check those demos to learn more about the viewer control.